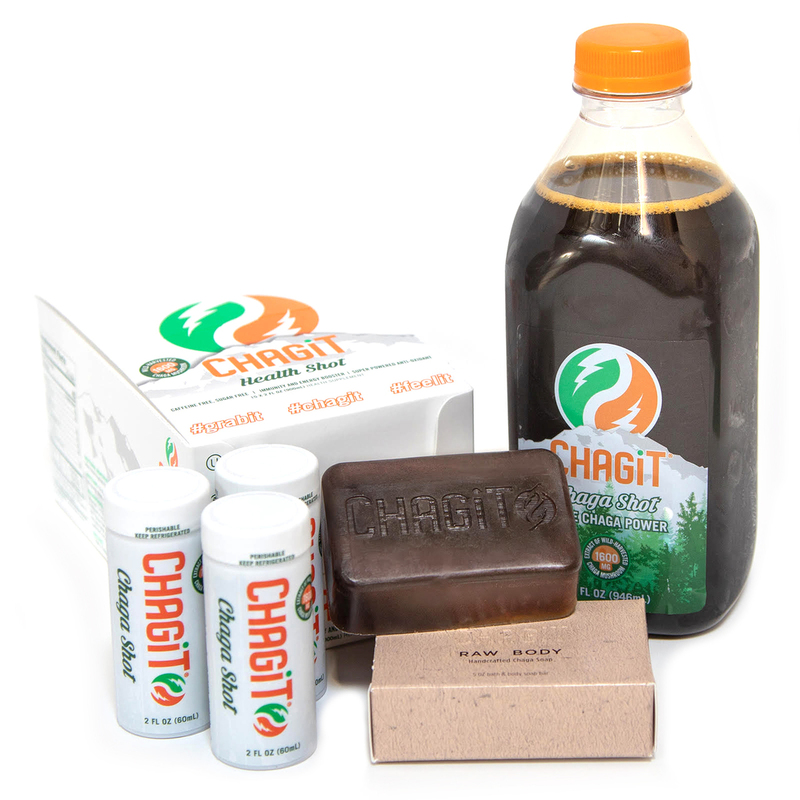 With the highest bioavailability and antioxidant levels on the planet, Chagit is the 2 oz. shot from the Chaga mushroom, and this is the full package. You get a shot for each day, PLUS antioxidant levels from the outside in, in the soap with purely ground chaga mushroom. Chagit is most effective when taken daily. As with most foods, it dissipates from your blood within 48 hours, thus it is important to maintain consistency. Over time, its effects gain strength and its power to help you increases. By far the best way to ensure that consistency, is to become a member and have it delivered to your door. As part of our commitment to whole body health, all members also get their choice each month of either the pure faceor raw body soap.